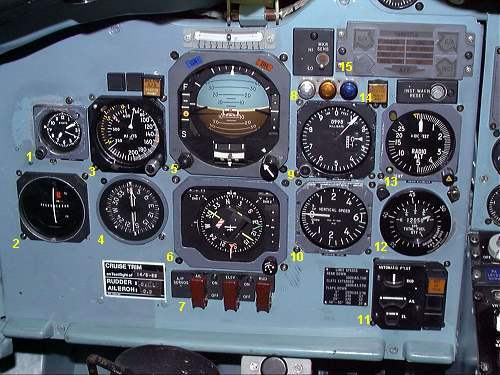 Left (captains) side of the instrument panel. Part of the area nav system. 6. RDI Radio Direction Indicator. 8. OMI. Marker beacon lights. 9 . Barometric feet altimeter.